US-based integrated chemicals and building products company Axiall Corporation is to sell its window and door profiles business, a component of Royal Building Products, to OpenGate Capital. The transaction is subject to regulatory approval and customary closing conditions. The sale is expected to close on 31 March 2016. OpenGate Capital is a global private equity firm specialising in the acquisition and operation of businesses seeking revitalization through growth and operational improvements. Established in 2005, OpenGate Capital is headquartered in California and maintains offices in New York, Paris, France and São Paulo, Brazil. It owns three plastics businesses: Kem One SAS in France, profile extruder Profialis in France, and compounder Benvic. 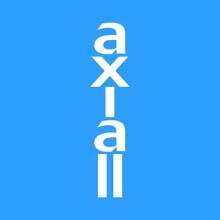 Westlake interjected by nominating directors to the Axiall board, but Axiall officials likened the move to “a clear attempt to force a sale of Axiall to Westlake at a price that significantly undervalues Axiall’s assets and its long-term prospects,” it said in a press statement.